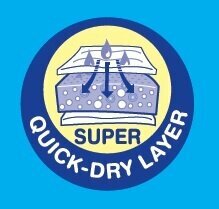 1) Keep your baby skin DRY with inner BLUE layer, absorbs 5x faster & avoid back flow. 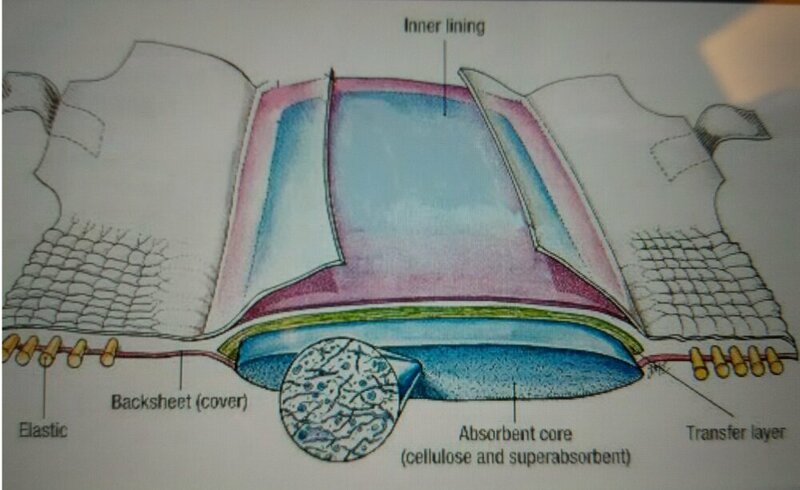 2) Keep your baby dry BIGGER absorbency area for superior absorbency. 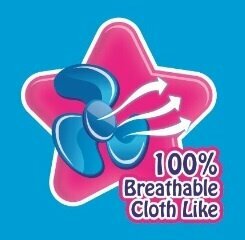 3) Keep your baby's skin fresh, Breathable Cloth Like material, Improves air circulation. 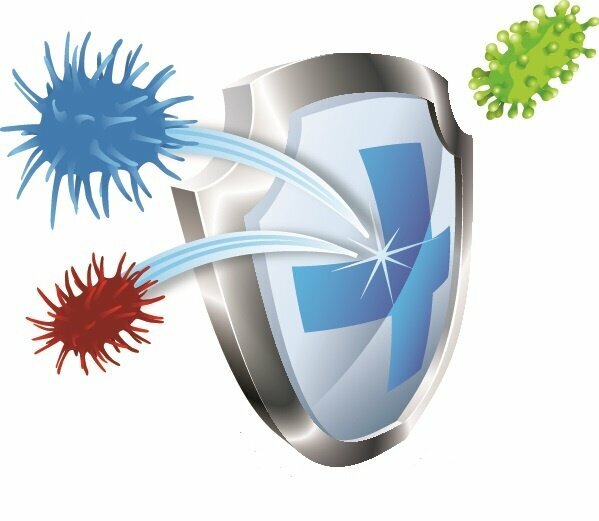 4) Keep your baby Bacteria FREE, Natural Anti Bacterial formulation keep your baby hygiene and odorless. 5) Gentle and not cause allergy to baby’s skin, Hypoallergenic formulation which prevent causing allergy to baby’s skin. 6) Keep your baby comfortable, With Waist band, ensure a snug fit and helps to prevent leakage at waist. 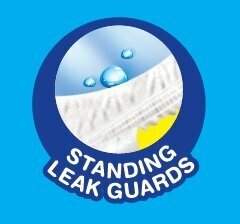 7) Prevent Leakage, With standing & fitting leak guard, Provides extra protection against side leakage of urine and loose stools. 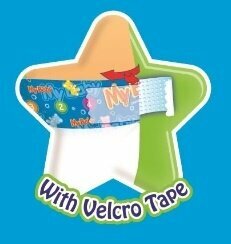 8) Easy Adjustment & Refastening, Fitted with Velcro for easy adjustment and refastening. 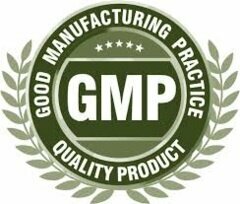 9) EXPORT Quality, GMP certified, meeting international quality standard. 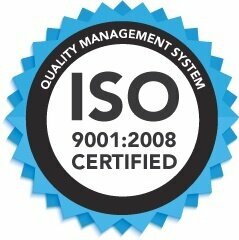 * Stylish cloth like back with magic Velcro tabs. * No chemicals that will cause rash. 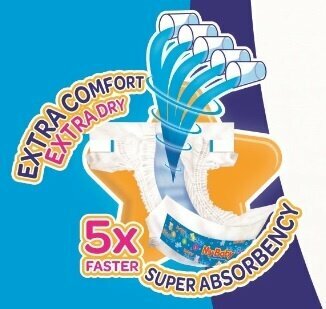 * Multi-layer absorbent core to lock away liquid. * Designed to fit the contours of your lovely baby. * Air-flow design to promote air circulation. * Breathable cover, smooth on skin. MyBaby Easy to Use, Baby Happy to Use.